Square Enix has announced plans to reissue the first NieR PS3 to the good reception of Nier: automaton, the sequel published this year. 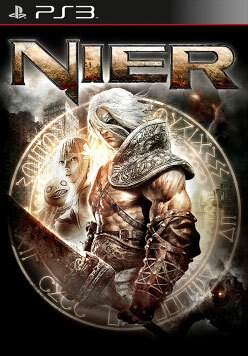 The first game of 2010, became after its release in one of those games that is better understood by the public that critically, but did not become a bestseller. The price of second hand copies is relatively high and is not always easy to find it (especially for PS3, in fact), so it is a surprise to see the British branch of Square Enix relaunching it in Europe. Automat, the sequel, has placed one million units between physical and sold digital copies distributed to stores, which is more than what sold the first NieR in commercial life. This second round is a good time to learn a little more the work of Yoko Taro; new copies can not be bought yet, and instead must sign up on a “waiting list”, perhaps to estimate more accurately the demand that has the game. The re-release comes not long after Sega put on sale a new pulled copies of various Yakuza series games for PlayStation 2 and PlayStation 3, due to renewed interest in the series that inspired the great Yakuza 0. It is unusual, but certainly a good way to make things a little easier fans who don’t want to get into that black hole that is second hand. You can read our analysis of NieR: controller here; the first NieR is Square Enix official store.